Congressman Tim Ryan is a relentless advocate for working families in Ohio's 13th District. He was first elected to the U.S. House of Representatives in 2002 and sworn in on January 2003. Successfully reelected six times, he is now serving in his seventh term. 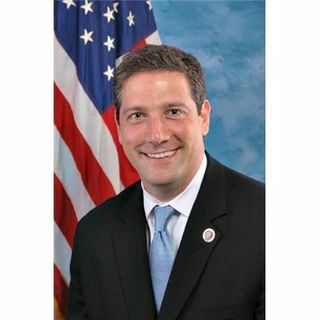 Congressman Ryan serves as a member of the powerful House Appropriations Committee, the House Budget Committee, and co-chairman of the Congressional Manufacturing Caucus, the Military Mental Health Caucus and Addiction Treatment and ... Maggiori informazioni Recovery Caucus. Congressman Ryan remains a leader in the fight to strengthen America's manufacturing base and reform U.S. trade policies and is a champion of efforts to make college more affordable, revitalize America's cities and improve the health and well-being of American families and children. Congressman Ryan is also the author of A Mindful Nation: How a Simple Practice Can Help Us Reduce Stress, Improve Performance, and Recapture the American Spirit and The Real Food Revolution: Healthy Eating, Green Groceries, and the Return of the American Family Farm. Visit http://timryan.house.gov & http://www.timryanforcongress.com. Get the Off the Grid Into the Heart CD by Sister Jenna. Follow us on Twitter. Download our free Pause for Peace App for Apple or Android.